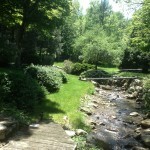 Ashintully Gardens - Tyringham, MA - Take a day trip! Ashintully Gardens is a lovely Trustees of Reservations property in Western Massachusetts in middle of the Berkshires that used to include a mansion and now has lovely formal gardens open to the public. The formal gardens are a lovely place to relax on a hot day or hold a special event. There is also a half mile hiking trail that leads to nice views of the surrounding area. Stream running through the formal garden. 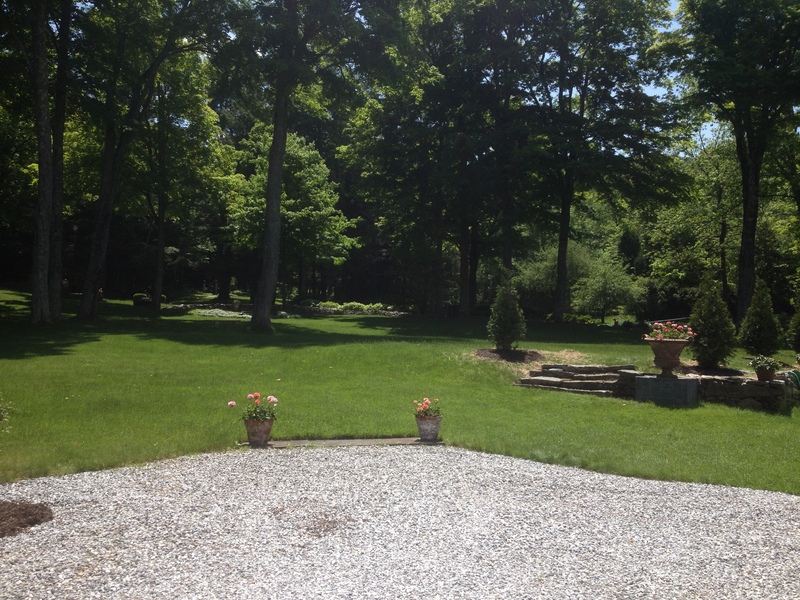 Directions: Ashintully Gardens is located off Sodem Road in Tyringham, MA. The nearest exit is exit 2 off I-90 (Massachusetts Turnpike) – from there turn onto Route 20 and bear right onto Route 102. Right after that keep an eye out for Tyringham Road on your left. In about six and a half miles you will come to an intersection with Sodem Road. 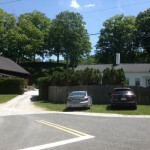 The gardens will be at this intersection so park off Tyringham Road (now Main St) on your left and head on in. Admissions, Fees and Rules: Admission is free and the gardens are open June to October on Wednesdays and Saturdays from 1 – 5 in the afternoon. Dogs are not allowed. 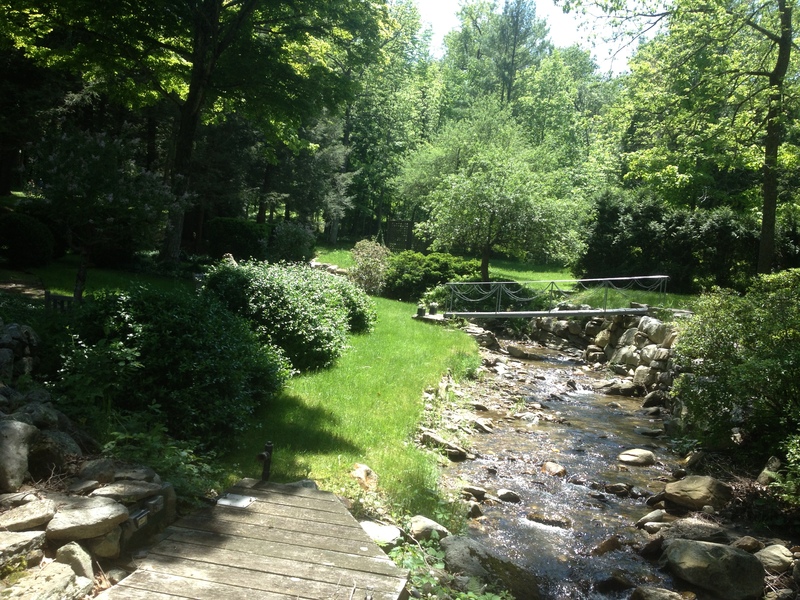 This is also a great venue for a special occasion or event that you want to hold in a lovely bucolic outdoor setting. Other Information: For more details on this lovely property check out the official Trustees of Reservations Page for Ashintully Gardens. 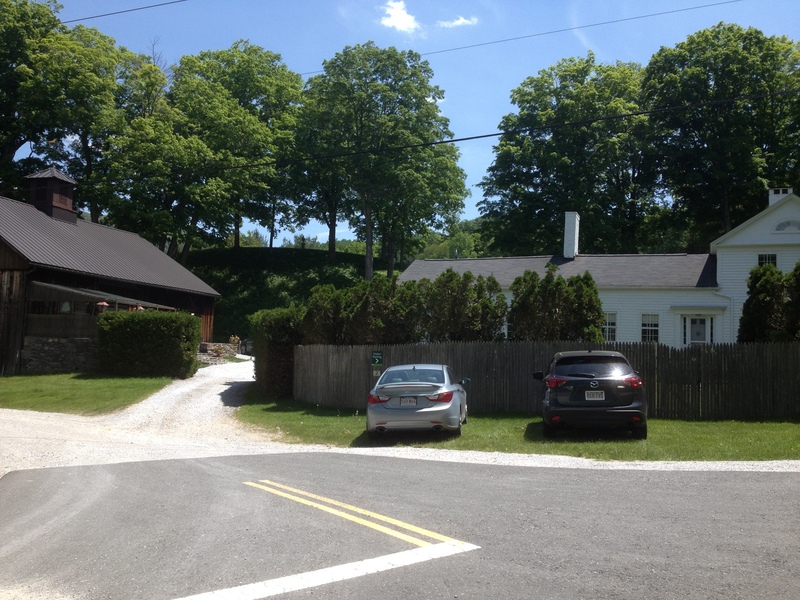 Parking area for Ashintully Gardens off Main St in Tyringham, MA.